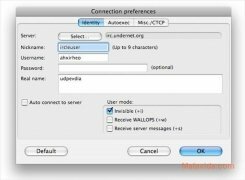 IRC (Internet Relay Chat) was one of the most used communication systems in the first period of Internet globalization, because it allowed various users to take part in a text conversation at the same time. After some time this system started to fall in disuse in the majority of fields, specially due to the expansion of instant messenger applications and the VoIP programs, but nowadays it is still used by users from all over the world, specially those of certain on-line game to be able to arrange a game or take part in tournaments. 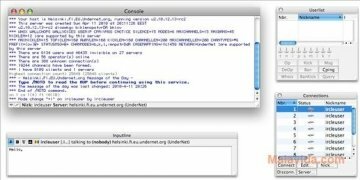 If you need an IRC client, you can always resort to Ircle, a powerful program with a lot of experience application with quite that will allow you to connect to up to ten different channels at the same time, maintain public and private conversations, send/receive videos and images, and in general all the commands that are offered by the majority of IRC clients. So, if you don't have an IRC client or are looking for a new one to replace the one that you already have, download and try Ircle, and thus you will be able to speak with your friends or find out the different changes or challenges for your favorite on-line games. You can try the application for 30 days.